Trying to find pubs in Dyfed? You’ve come to the right place. We’ve got every pub and bar in the UK listed. Whether you’re looking for a pub or bar in Dyfed to play darts, somewhere to play pool or just want to have a look at a menu before you go, we can help. Old Bridge Inn in Llangennech has a beer garden. The pub has a function room that can be booked, it has an outside area. Old Bridge Inn holds quiz nights. The pub shows football on TV. Smiths Arms in Llangennech shows football on TV. The pub has terrestrial TV. 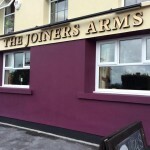 The Joiners Arms is a fairly large, tavern style pub situated in Llwynhendy. Now serving breakfast Friday to Sunday 10am - noon Why not try our roasts. Smiths Arms in Llwynhendy has a dart board. White Lion in Llwynhendy shows football on TV. The pub has terrestrial TV. Neath Cricket Club in Neath has a beer garden. The pub has an outside area, it shows live comedy. Neath Cricket Club has a dart board. The pub has DJ's, it has karaoke. 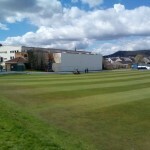 Neath Cricket Club has live music events. The pub has a pool table, it has a big screen. Neath Cricket Club shows football on TV. The pub has Sky Sports, it has terrestrial TV. 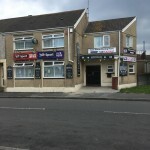 Whitstable Inn in Llanelli has live music events. The pub holds quiz nights, it has BT Sport. Whitstable Inn has the Racing Channel. The pub shows rugby on TV.